They were a force unlike any other. Capable of building planets and stars and filling the void of empty space with unimaginably large and complex structures, including the Ark and the resultant Halo’s. And it was because of the Forerunners why humanity was affected so greatly, smashing us aside, destroying our empire and returning us to an age more akin to Neanderthal times. They almost destroyed us, but their actions set in motion something which they would later come to regret, especially when the Flood arrived. But what do we really know about them and their abilities? Building a planet, like the Forerunners did with Onyx and many others, is vastly more difficult than travelling from one star system to another in an acceptable timeframe. Resources beyond comprehension are involved in the creation of a habitable planet but those efforts also pale when compared to the creation of a star, a task that seemed almost effortless for the Forerunners. Creating a star requires an almost incomprehensible grasp of the forces involved. Being able to manipulate gravity, for instance, is crucial for this as it vital for creating the required density for nuclear fusion to begin and for it to be sustained throughout the star’s lifetime. You would also need an immense supply of hydrogen, a level found mainly in the beautiful nebulae that decorate our galaxy. But moving all of this to a destination of your choosing would present another raft of problems. 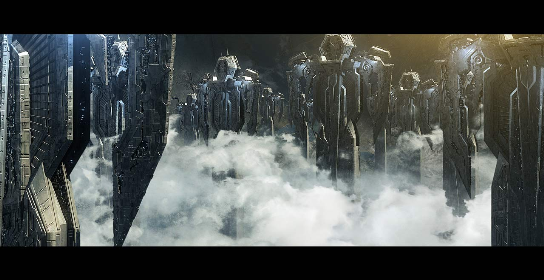 Despite all of this, the Forerunners overcame these difficulties to become the preeminent power in the galaxy. They even went as far as creating an artificial star within a Dyson Sphere inside a bubble of condensed Slipspace inside an artificially created planet—a true example of mastery over the forces of nature. But despite this impressive show of force and skill the Forerunners were undone by the simplest of things, their overconfidence in everything around them. Going by the last few chapters of Halo Cryptum by Greg Bear, we get a true taste of what some of the higher echelons of the Forerunner society were really like. They were extremely confident of their dominance over everything else in the galaxy. Even the ‘Mantle’, the Forerunners’ self-imposed title of galactic stewardship, portrays some elements of this—they considered themselves above all others and felt compelled to nurture other less fortunate species through times of hardship. But it is in Bornstellar’s recollection through the eyes of the Didact that speak loudest of all. The disappearance of the Precursors was seemingly down to the actions of the Forerunners. I had always guessed that the Forerunners were not as benign as we were led to believe. In a way, my initial impressions of them were similar to the ancient Eldar from the Warhammer 40K universe—highly advanced, imposing, overconfident and, in a way, gluttonous with achievement. The Eldar managed to reach dizzying heights in terms of technological development. They were unmatched, much like the Forerunners. But this overconfidence also became their downfall. They gave birth to an evil that fed on their desires and ambitions, of which the Eldar had many. Eventually, this crippled their vast galaxy-spanning empire and decimated their numbers. It paved the way for the Imperium, humanity of the WH40K universe. Reclaimers, of sorts. But the main point of evidence for the Forerunners road to destruction lay with the very heart of their society. A cast system, as described in Halo: Cryptum, denotes position and power in unequal terms. And at the pinnacle of this society was the builder cast, the creators of much of the physical aspects of the Forerunners—their structures and vessels and, of course, the Halo’s. This superiority, even within the Forerunner Empire, proved a powerful and dangerous drug, because self-assured superiority within a realm of perfection lowers your guard to all you encounter, just like the Forerunner encounter with the Flood on G617g. But ironically, humanity also had a part to play in the downfall of the Forerunners. Humanity not only defeated the Flood, they also kept the secret to their success hidden from a wanting and desperate Forerunner society. But even more important to this story is mankind’s actual defeat to the Forerunners. This victory, against an alliance of two impressive and dangerous foes (humans & San ‘Shyuum) only added to an already overflowing cup of confidence and arrogance, from which the Forerunners drank frequently. Ultimately, and despite increasingly desperate measures, the Forerunners drowned. Victims of their own success. Only time will tell if their chosen inheritors will finally save or punish them. 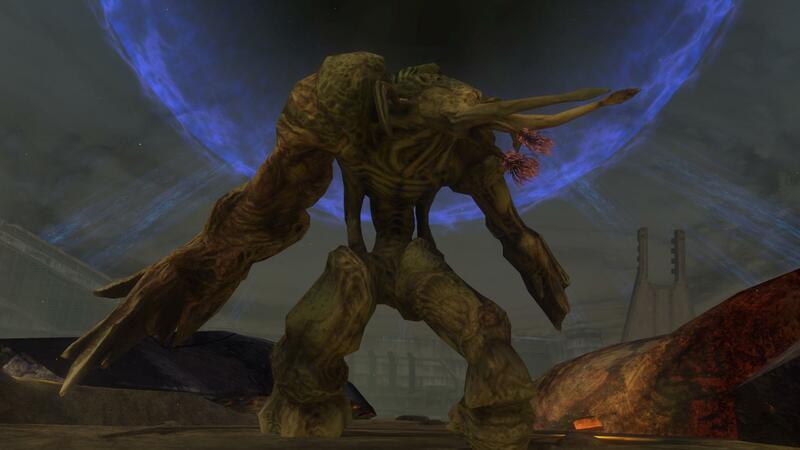 Was There a Better Way to Fight the Covenant?